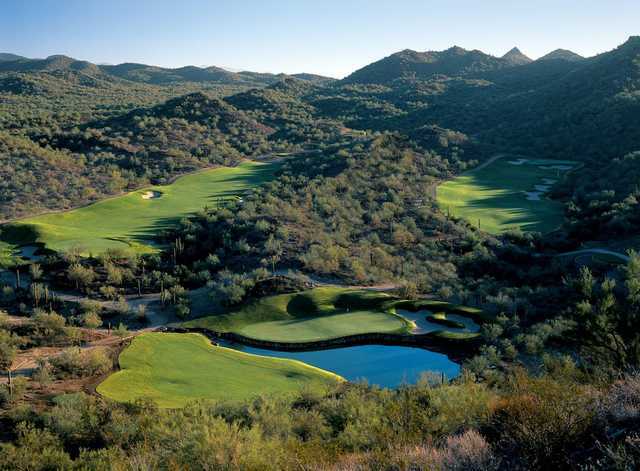 Quintero Golf Club sprawls across the high Sonoran desert, bordering Lake Pleasant. It is tucked away in the Hieroglyphic Mountains, but still conveniently located less than an hour northwest of Phoenix. 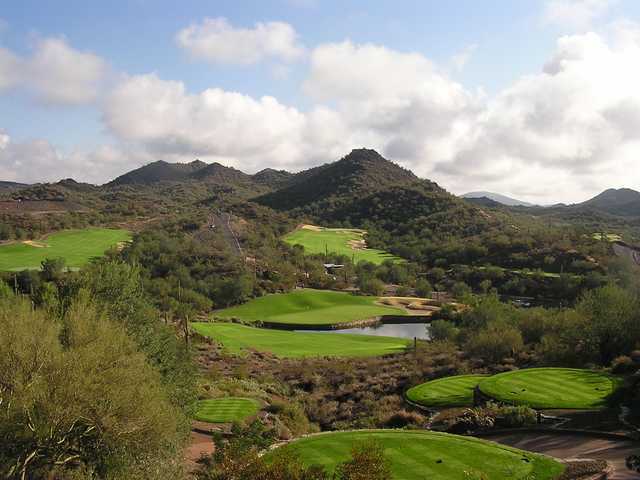 Acres of protected Federal Lands surround the course, further enhancing its secluded feel. Rees Jones and Steve Weisser designed the golf course. FALSE ACCUSATION OF SHOPLIFTING!!!! I used to love this place. My foursome wanted to golf at We Ko Pa, but I insisted on showing off Qunitero. What a mistake!!! After the 15 minute drive to the practice area/first tee we had played the first hole and had just hit our approach shots on Hole 2 when I was rudely asked to return to the clubhouse. Not my foursome, just me - and they wouldnt tell me why!! So I drove all the way back in HIGH ANXIETY. They then proceeded to falsely accuse an elderly man in my party of shoplifting a divot tool when in truth he took a business card that was placed beside the cash register. Another 15 min drive out to return to my party and now all of our rounds had been ruined. ABSOLUTELY APPALLING!!! The guy that came to get me from the course was SO RUDE!!! So, $400 of golf wasted and they didnt even stick around to apologize after our round!!! I am SO SO SO embarrassed and disappointed. We will NOT be returning to Quintero - truly SAD! Would not play there again. Staff was wonderful but the course was not in very good shape and every hole feels like your playing uphill except the par threes that all drop about sixty feet from tee to green. Was expecting it to be in better shape for the price. Well worth the drive from anywhere in Phoenix. Amazing desert views. Terrain was immaculate. Staff was courteous. Reading older reviews, yes, the greens are fast. Fairways are in great shape. 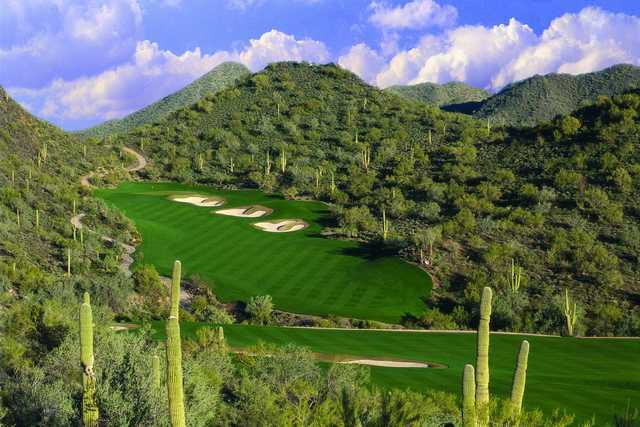 You won't be able to pick out a favorite hole; they're all awesome. I like the par 3's that drop in elevation. Fun! I didn't get a chance to hit the range but for maybe a minute. I think their range balls are better than any other club in AZ. Course plays about 4 hours and you do get cell phone reception! Played 8.7.15. Well worth the drive! Best conditions in the Phoenix area. Outstanding golf course. 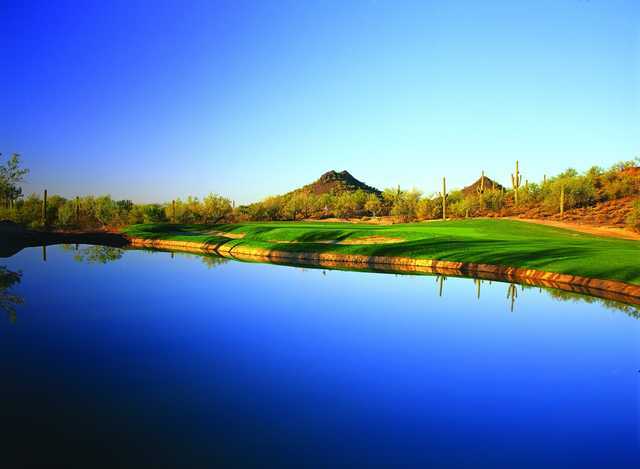 From practice facility to fairways to greens,this is a private club experience and stunning golf course. Well worth the trip from whereever you are coming from in the Scottsdale area.